Product prices and availability are accurate as of 2019-04-24 13:16:46 EDT and are subject to change. Any price and availability information displayed on http://www.amazon.com/ at the time of purchase will apply to the purchase of this product. 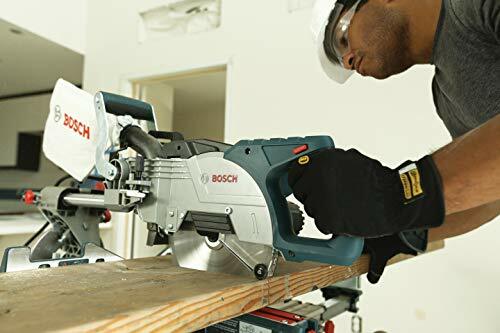 The Bosch CM8S 8-Inch Single Bevel Sliding Compound Miter Saw features a Bosch exclusive design delivering a well-balanced saw with a top carry handle at the center of gravity and weighing only 37 lbs., these features easily provide one-handed portability on and off the job. 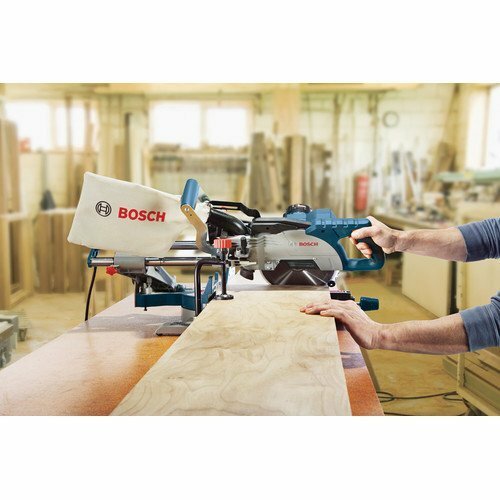 Accessible controls make it easy to change bevel settings without reaching behind the saw. 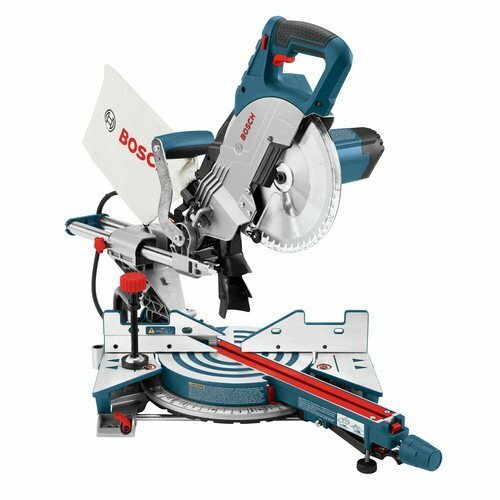 The integrated expanding work piece supports, large easy to read miter and bevel scales and detent system provides quick and accurate cuts. 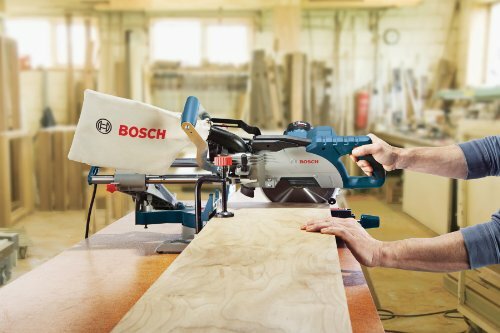 Uniform marks from 52-degrees left to 60-degrees right with 10 adjustable miter detents set at most common cuts. 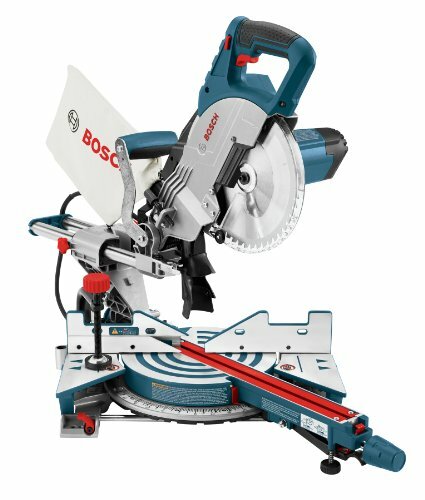 The CM8S also has the same crosscut capacity (12-3/4-Inch) as a 10-Inch miter saw, at 30-percent the weight.